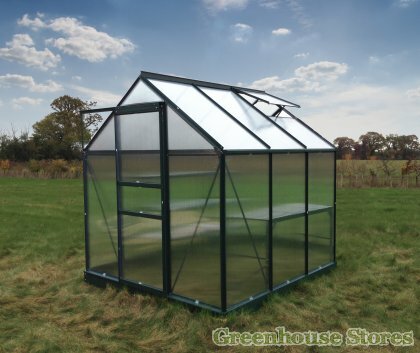 The new Grow Master 8×6 Greenhouse from Greenhouse Stores is the newest 8×6 greenhouse for gardeners and allotment holders alike. 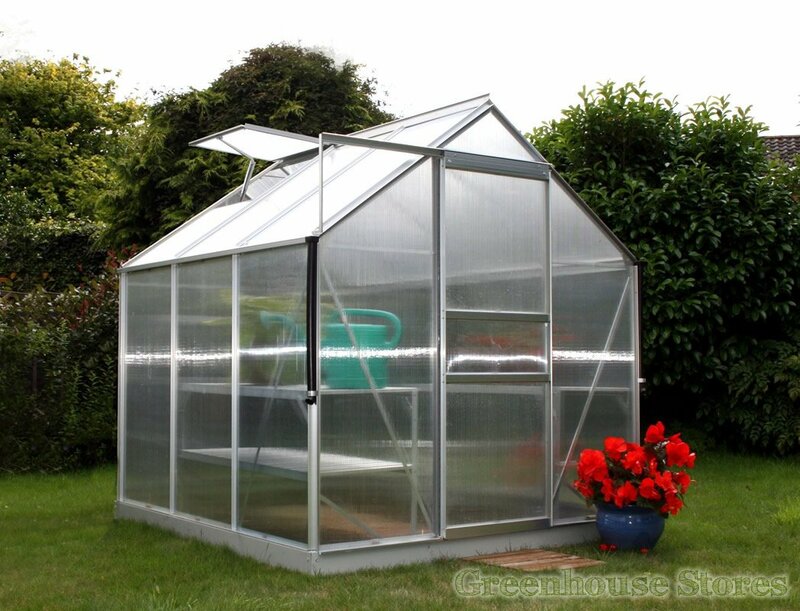 Built from an anodized aluminium frame that will always stay bright and shiny, the Grow Master Greenhouse is a little different from other 8×6 polycarbonate greenhouses in that there are no glazing W clips to be seen anywhere ! This of course is a good thing as these very clips can pop out during very windy conditions causing all sorts of problems, such as glazing panels being blown out. 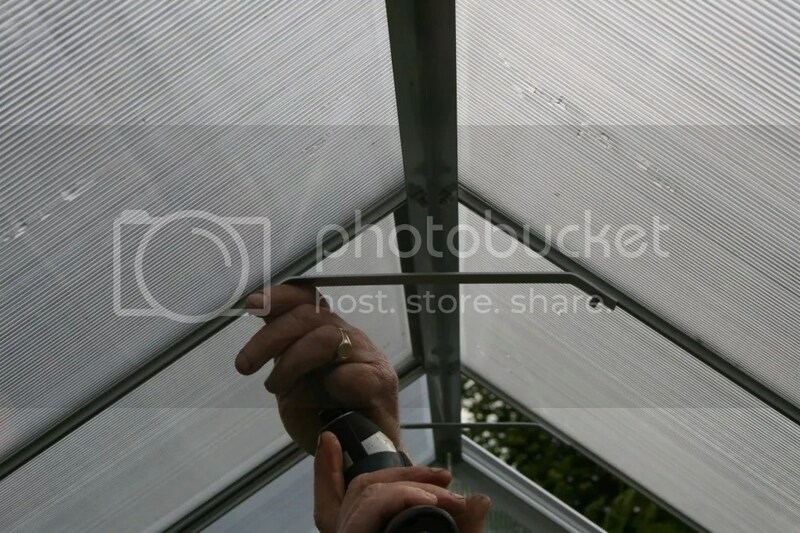 With the Grow Master this isn’t an issue at all as this greenhouse uses a new system where the glazing slides into channels within the actual aluminium greenhouse frame which are then sandwiched in place by aluminium slats. 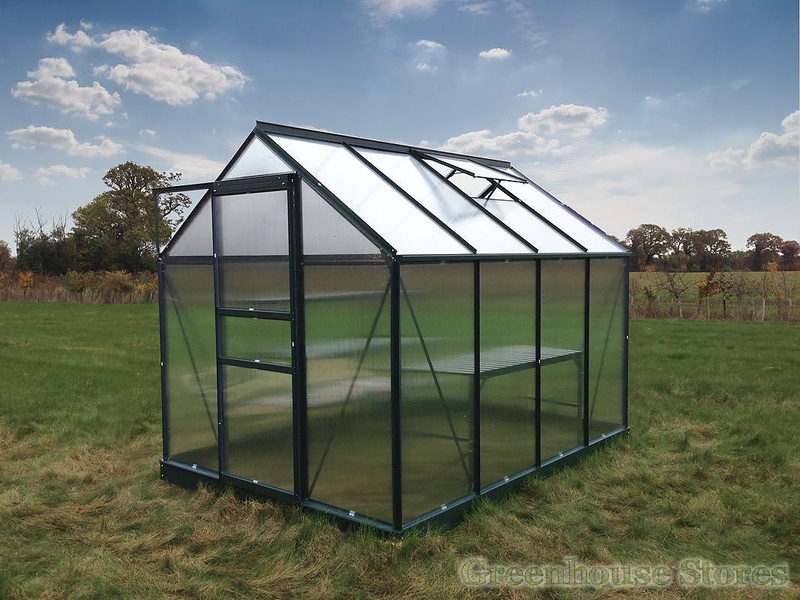 This is the most wind resistant polycarbonate greenhouse on the market, without a doubt and as a result very popular with allotment growers. 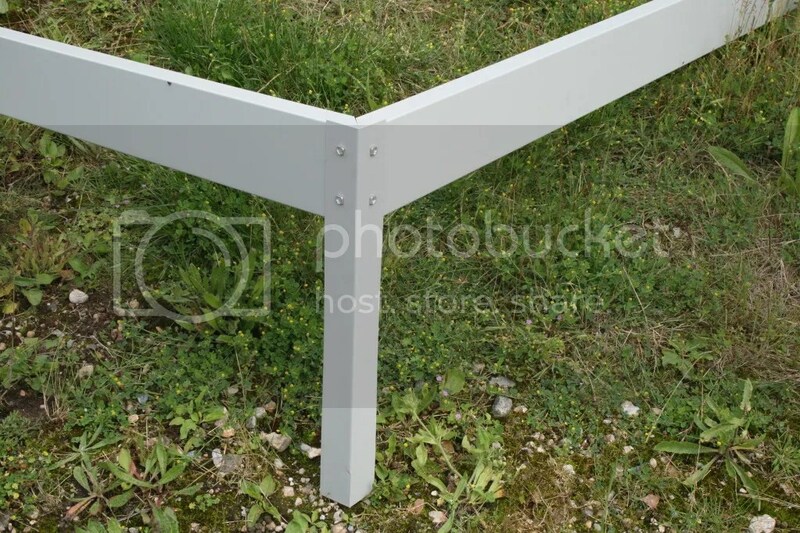 The Grow Master comes with a galvanized steel silver base which has optional corner posts that can be buried into soft ground and then cemented into place, ideal if you don’t have a hard surface such as slabs or concrete on which to put your greenhouse. 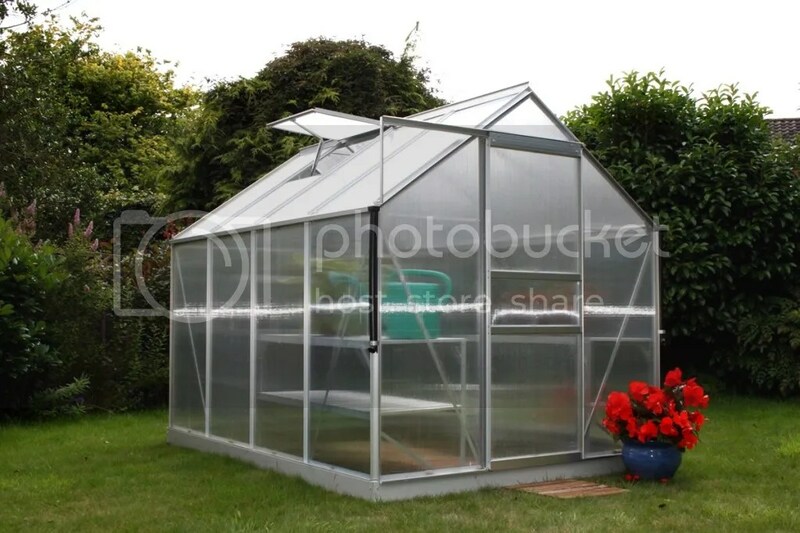 This feature is not available with any other 8×6 polycarbonate greenhouse. 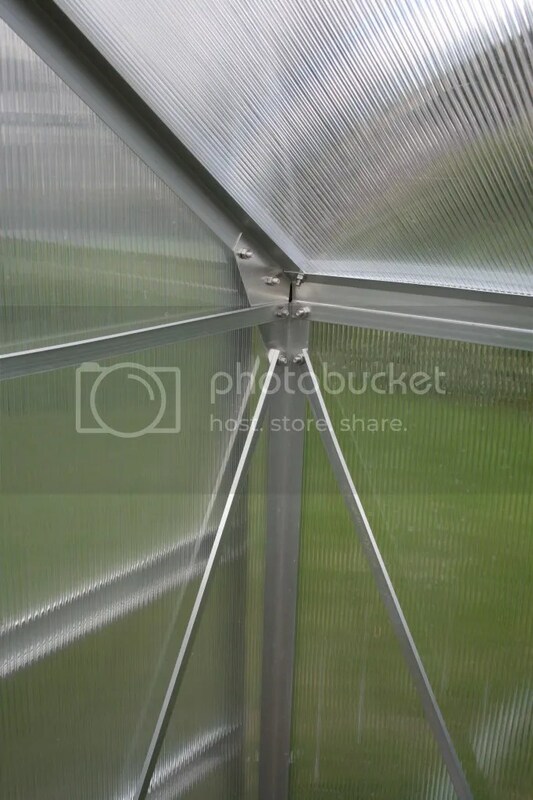 The Grow Master features extra bracing in the roof and corners to keep the greenhouse stable in windy conditions, essential if you live in an exposed spot. 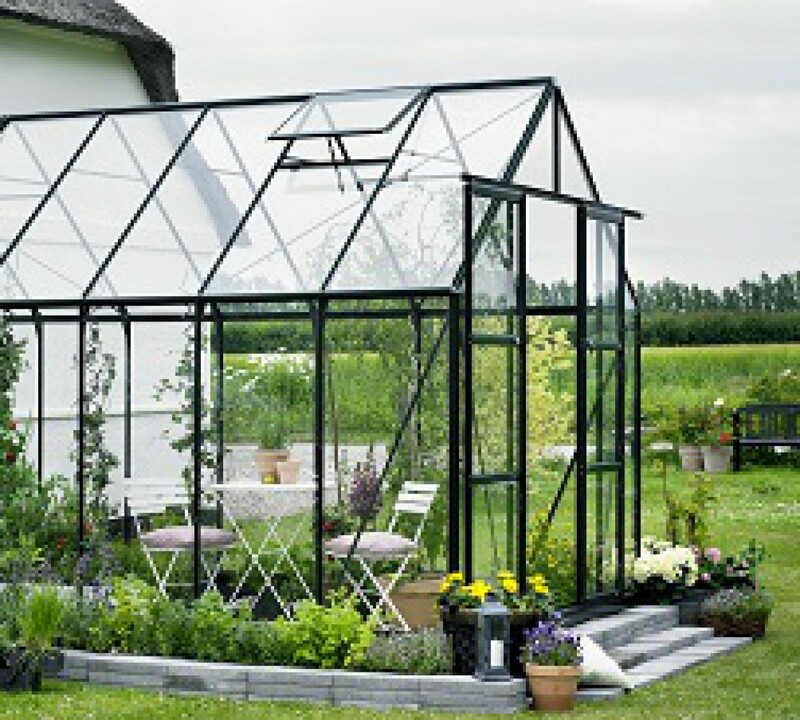 A properly braced greenhouse is essential, especially in a poly glazed model. This is because polycarbonate is much lighter than glass meaning that more rigidity is needed from the frame as it isn’t coming from glass. New for 2014 is the Grow Master in 6×6, with all of the features of the original 8×6 model. Grow Master 6×4 in Green.